Issac Qureshi is an experienced professional with a background in finance, taxation, and business development. His persistent and determined background began with an education where he studied at both the London School of Economics and University College London, where he earned multiple degrees that significantly increased his knowledge in the fields of Trust Law and Taxation. After graduating, Issac Qureshi decided to make his mark as a leader within the property investment sphere when he co-founded Urban Logic. For the next two years, he served as the CEO for his business, leading the organization to a successful floatation on the UK stock market. Then, Issac moved into retail investment as the CEO of LAKAS Investments PLC. From here, he made a move to Marvel Marketing, where he served as a non-executive director and honed his skills in campaign analysis and fundraising. In 2014, Issac founded the wealth management and taxation consultancy. Through Issac Qureshi’s professional experience, he has left behind a legacy of achieving effective results through optimal budgeting and acutely observing potential financial risks. Additionally, he has strong abilities in team management, business development, negotiations and a first-hand experience acting as a professional adviser in stock market regulations & flotations. 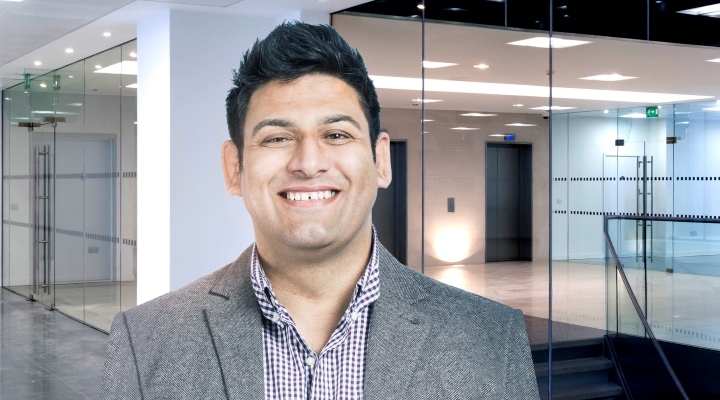 This experience has led Issac Qureshi to his current position at Ogilvy & Haart, a London based company that provides taxation & wealth management advice to both individuals and businesses with a focus on protecting their wealth. No matter who his clients are, he works tirelessly on providing the best possible tax strategy while maintaining a high-quality customer service. I recognized that there was a lack of innovation in the legal & tax marketplace. I found that traditional law & tax firms were not well suited to providing a truly service or results oriented business. I created the firm to deliver a service tailored to the needs of our clients and decided to build our firm around the needs of our clients and become results focused. We charge a combination of a fixed rate and also a % based on the agreed success with each of our clients. We like to keep our pricing fair and of course our clients happy so we build long-term relationships with our clients regularly referring family and friends. We have had a pretty consistent growth with our firm. Our growth has come almost entirely through word of mouth. Our clients have recommended us to their friends and family and it just goes to show that clients appreciate that extra effort. I was always confident that my plan to apply enhanced principles of service to law & tax would be successful. Having worked in different sectors and having amazing mentors around me, I knew that disrupting the traditional model was the only way to go! The first customer was actually a close friend who believed in the concept and has been a “client” ever since. My main marketing strategy is to continue to expand my knowledge and education. This process helps me to serve my existing clients better. This usually works well in obtaining additional business from existing clients. The toughest decision I had to make this year was to let go of several clients. This is difficult as it is a relationship building business and if some clients are not abiding to the requirements, we are not able to continue our business relationships. What makes me successful is the ongoing drive to help others become successful by simplifying their legal and taxation lifestyle concerns. If in the world, we proceeded to wish success for everyone, society would be a much more effective and positive place. My clients are happy to see that I treat their money as if it were my own. I am very responsive if a client calls me or emails me, as I always aim to get back to them right away, and certainly no later than within twenty-four hours. I provide each client with my personal contact information so that they can reach me personally on weekends or evenings if it is an urgent matter and the fact that I truly care comes through and is why we have been successful. My most satisfying and humbling moments in business is knowing the work I do transcends through generations. One of my close friends passed away a few years ago and I had the opportunity to work with him through an accumulation of wealth and distribution of assets to the respective beneficiaries. It is satisfying to know that his business will continue, and the dependents are financially taken care of. We are continuing to grow at a high rate, and this includes expansion overseas. Watch this space! Although not quite the traditional business books, I can highly recommend “Think And Grow Rich” by Napoleon Hill and “The Science OF Getting Rich” by Wallace Wattles. Don’t be misled by the titles, these are books that will help you not just get financially rich, but rich in every part of your life. I think the best recent purchase that has helped with my business is heading over to Canada to spend time with one of my Mentors, Bob Proctor. I regularly make the time to meet up with Bob, and each time I do… the business expands and develops more! What more can I say?